BROADBENT, Samuel. A Narrative of the first introduction of Christianity amongst the Barolong tribe of Bechuanas, South Africa: with a brief summary of the subsequent history of the Wesleyan Mission to the same people. By the Rev. Samuel Broadbent. London: Wesleyan Mission House, 1865 Fcap.8vo. iv,204pp. errata. In 1823 the author, another missionary (Mr. Hodgson) and their families set up a mission in Maquassi in Bechuanaland under much difficulty due to a constant state of warfare in the country. The Rev. Broadbent studied the people and even mastered the language enough to be able to preach to them. 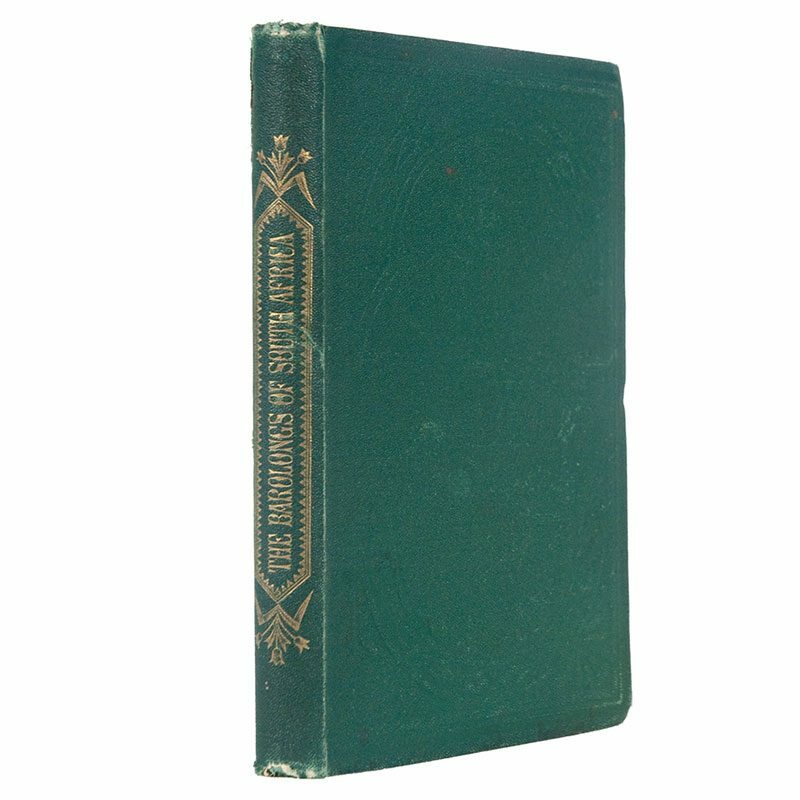 Spine rubbed at head and foot, back hinge weak, a very nice copy in the publisher’s green cloth lettered in gilt on the spine. [Mendelssohn, I: 192] COPAC lists four copies.